Tired of the old pumpkin pie? 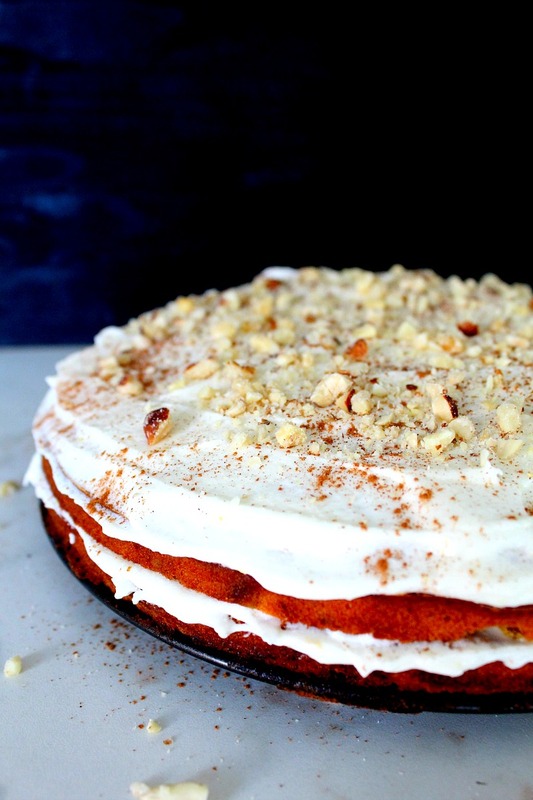 This pumpkin cake with cream cheese frosting is the perfect treat for fall! 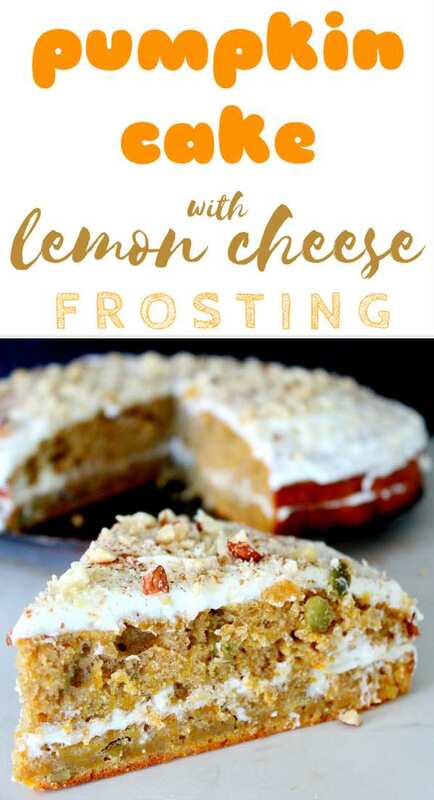 Two layers of moist, delicious pumpkin cake, filled with lemon cheese frosting! I love anything pumpkin and I would never turn down a slice of pumpkin pie! But how many pumpkin pies one could handle, right? Sometimes enough is enough and when you had enough, it’s time for a super delicious pumpkin cake with cream cheese frosting! 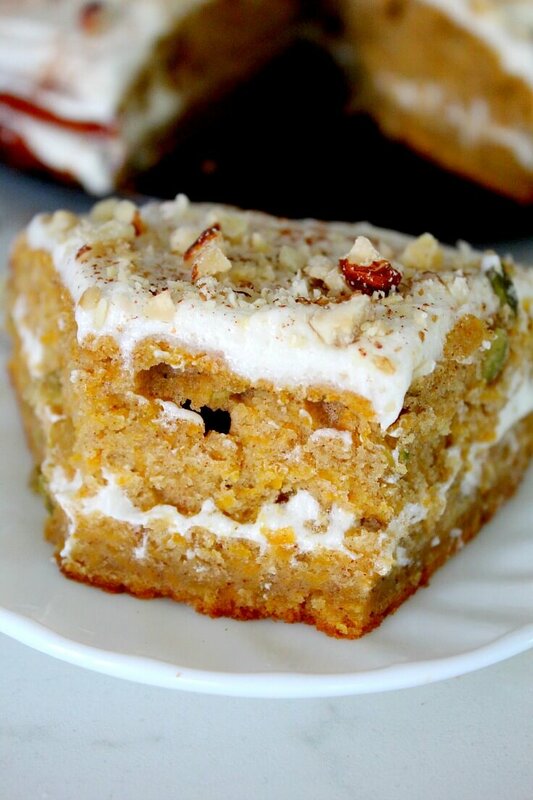 Insanely easy to make, this pumpkin cake recipe tastes just like pumpkin heaven! This pumpkin cake with cream cheese frosting is very moist and great for potlucks and the lemon cheese frosting complements it perfectly, making it light and refreshing! As I’m a sucker for crunchy, I decided to add some pumpkin seeds to the batter and then sprinkle some ground walnuts on top of the cake. Awesome choice but if you’re only after a moist, fluffy cake, skip these two. A great change-up from the classic pumpkin pie, this easy pumpkin cake will soon become a family favorite! I love that you use fresh pumpkin! Very cool. Thanks, Natasha! 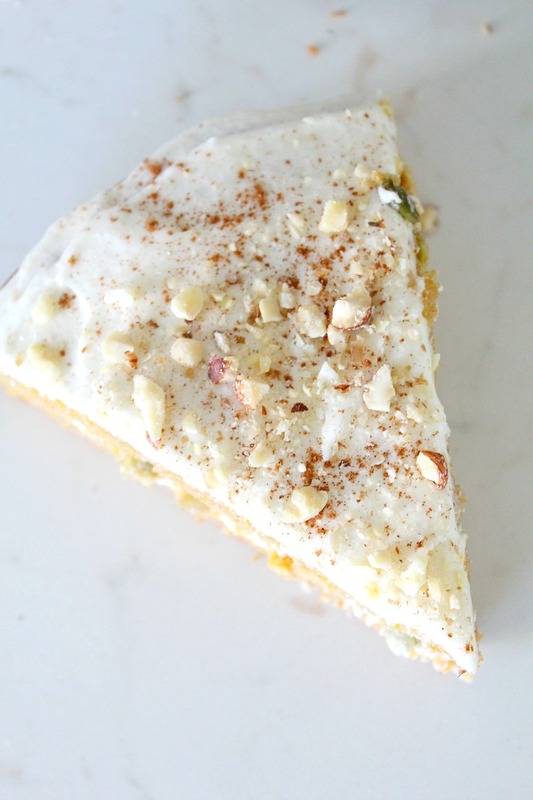 I think fresh pumpkin is the key in this cake, the flavors are so much more intense!